ASBK is a registered nonprofit corporation with the State of New Mexico and is tax-exempt under the Internal Revenue Code (IRC) Section 501(c)(3). Contributions made to ASBK qualify as charitable deductions under IRC Section 170. 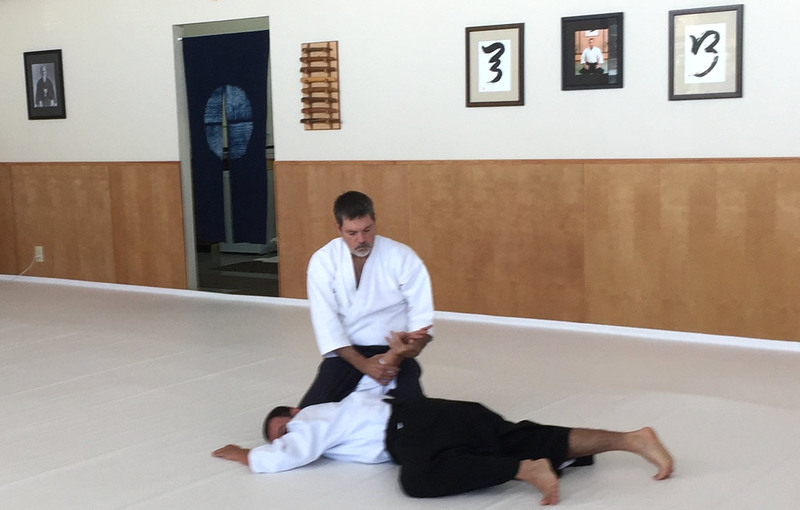 To provide education in the arts of Shin-Budo Kai style Aikido that include, but are not limited to, Aikido-based self-defense techniques; the weapons-based arts of bokkendo (wooden sword), jodo (wooden staff), and iaido (art of drawing the sword); the mind/body coordination exercises of genkido; and the meditative practices of misogi..
ASBK does not discriminate on the basis of gender, sexual orientation, race, color, ethnic origin, national origin, or religion. ASBK maintains no fiduciary relationships with other Shin-Budo Kai dojos. We nevertheless support all efforts to educate the public in Shin-Budo Kai Aikido. Our website may include third-party links, products, or services. However, these third-party sites have separate and independent privacy policies, and we therefore have no responsibility or liability for the content and activity of these sites. Your use of any linked website is solely at your own risk. Links to third-party products or services may be found on this website. However, ASBK makes no representations or warranties with respect to these products or services, their use or performance, and that the services or products will meet customer requirements or expectations. Nothing herein, including oral or written advice or information obtained from ASBK may be construed or intended to be a warranty, representation, or guarantee by ASBK. This disclaimer includes all warranties, whether express, implied, statutory, oral, in writing, or otherwise, including, without limitation, any implied warranties of merchantability, fitness for a particular purpose, title, noninfringement of third party rights, or warranties arising from a course of dealing, usage or trade practice, and the same are hereby expressly disclaimed to the maximum extent permitted by applicable law.